Look! 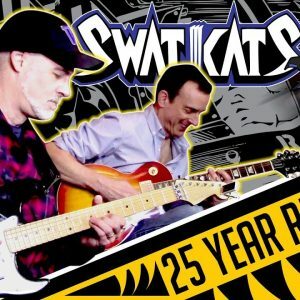 It's the SWAT Kats! 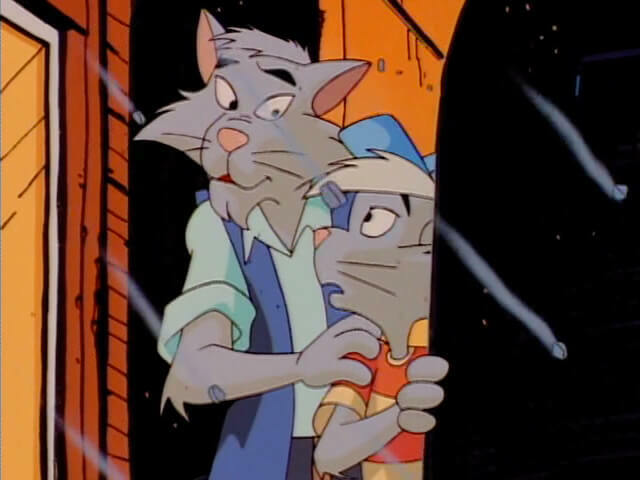 This young boy lived in Megakat City. He was present in the crowd that had gathered near the Megakat Nuclear Plant during Dark Kat’s break-in. Later, he was out with his father when the Turbokat appeared overheard. 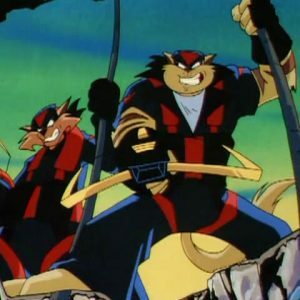 Apparently a fan of the SWAT Kats, he became quite excited, only for his joy to turn into terror when the jet began destroying buildings. 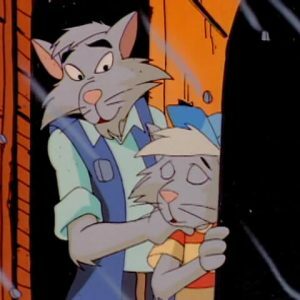 He took shelter with his father, and begged him to tell him why the SWAT Kats were doing this. His father didn’t have an answer. Neither of them knew it was actually Hard Drive in the jet. 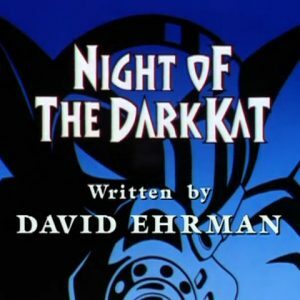 Although the boy appears as a background character in two episodes, Night of the Dark Kat is the only time he has a speaking role. He and his father were originally designed for The Giant Bacteria, or at least they appear on a model sheet entitled “Misc. 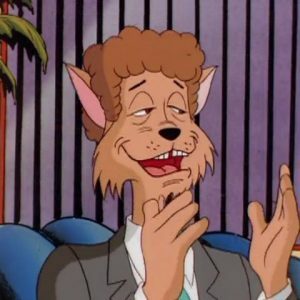 Cats,” but ultimately weren’t used in that episode. The two also appear in model sheets for Metal Urgency (as “Misc. Bystanders”), but weren’t used in that episode either.